Get your copy today! Orders are now available! 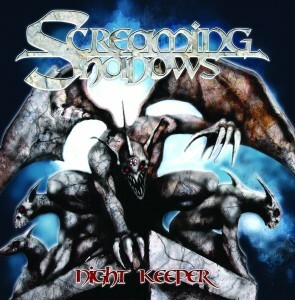 safe payment and you’ll recieve your “Night Keeper” copy at home! Acquista la tua copia! Gli ordini sono disponibili adesso! PayPal e riceverai la tua copia di “Night Keeper” direttamente a casa tua! We are proud to announce that the new album will come out the October 3rd on Jolly Roger Records.